Katherine grew up in Memphis. After graduating from White Station High School, Katherine attended the Rhode Island School of Design where she received a BFA in Apparel Design. After college, she moved to New York City to take a job at Ralph Lauren as assistant designer for girls 2-16 knits and accessories. After working in NYC, Katherine decided to move back to Memphis. For the past few years, Katherine has done freelance fashion illustrations and worked at her family's restaurant, The Rendezvous, in marketing, retail and social media. Katherine is married to Danny and has two kids Will and Lucy. Check out video of Anna and Katherine and their kiddos in their favorite city here. Grace Porter is Store Manager at the Art Project. She received her BA in Art in 2015 from Rhodes College. 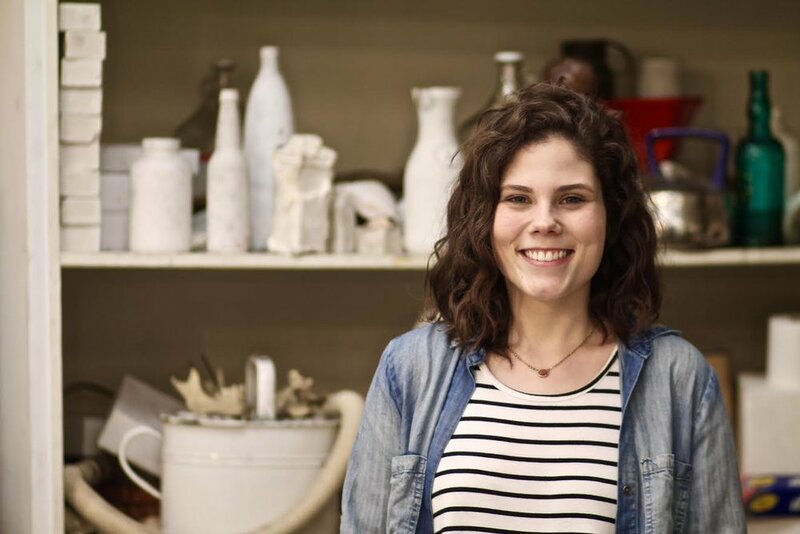 Grace has had various jobs in the Memphis arts community, including assisting and interning with Anna Wunderlich Art Consultation and studio assistant jobs with local artists Erin Harmon, Maysey Craddock, Ben Butler, Suzanne Henley, and Betsy Brackin. Grace has also had numerous experiences in art education, such as assisting at Flicker Street Studio and a Teaching Assistant position at Memphis College of Art’s Summer Art Camp. She has also spent two summers in Southern California working as a Youth Counselor at the prestigious arts camp, Idyllwild Arts Summer Program. Grace left the Art Project for a year to work as a pre-school teacher at Temple Israel's Barbara K. Lipman Early Learning Center. She loves being back! Grace is also a practicing artist; check out her Website and Instagram. Caroline Landaiche is a high school senior at St. Mary's Episcopal School. She was born and raised in Memphis, TN and has attended St. Mary's her entire school career. In the past, Caroline has worked as a counselor at St. Mary's Summer Day camp, St. Columba Episcopal Day Camp, Camp Strong River, and Grace St. Luke's Vacation Bible School, as well as a tutor at the St. Mary's Hughes Learning Center. Anna is an illustrator and graduate of Memphis College of Art. She has 4 years experience in children’s art education. Olivia Berry is a freshman at the University of Memphis and is majoring in Graphic Design. When it comes to art, she enjoys photography, painting portraits, and pen and ink work. Anna is a native Memphian. After graduating from White Station High School, Anna attended the University of Virginia and received her BA in American Politics. Anna worked in the political world for a few years and then went to law school. Anna practiced law for almost 5 years, but has recently returned to her family's restaurant, The Rendezvous, to learn the family business. Anna and Katherine were inspired by Anna's 3 year old (now 6) to open The Art Project. Anna is married to Angus and has two sweet little kiddos, Mac and Matilda. Terri Scott is an illustrator, comic artist, and storyteller. She received her Bachelor's of Fine Arts at Memphis College of Art in 2014 and works as a freelance illustrator in Memphis, TN. For the past five years she's been the illustrator for the Church Health Reader, a local Memphis magazine produced by Church Health. She also teaches comics and illustration for Memphis College of Art's Saturday School and Summer Art Camp programs. As an avid reader and fan of cartoons and comics, she hopes to one day become a published children's book writer and illustrator, with two books already in-the-works. Check out her website at terriscottillustration.com to see what she's up to! Lauren Randolph is currently enrolled at Rhodes College as an English Literature and Creative Writing major. Her primary mediums are India ink and charcoal. This is Clara McDonald! She is 20 years old and just moved back to Memphis to attend college as a sophomore. 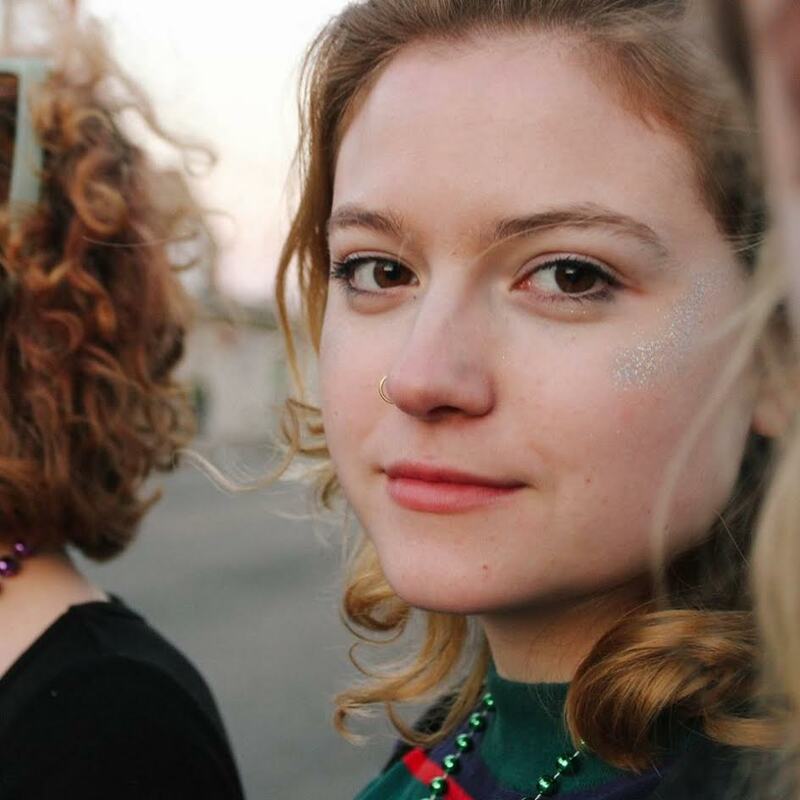 Clara is majoring in Literary Publishing and New Media, but she enjoys art as a constant presence in her life. She says collage art therapy is her favorite way to relax, but that painting is a close second. Heather grew up in Memphis and attended Briarcrest High School. She then attended the University of Memphis, where she earned a degree in Commercial Aviation. After college she's spent her time backpacking in Europe, working as a nanny, and refining her skills as an artist, honing in on collage and paint as her primary media. She draws her inspiration from the taboo and often-hidden demons within us and hopes that through her art, she can shine a light on those subjects, thereby illuminating them to show their ubiquity. Lauren was born in Memphis and grew up in Marietta, GA. She received a Bachelor of Science in Communications from the University of Tennessee, Knoxville and worked in marketing and public relations for several years. After nannying for two years she went back to school to pursue a masters in early childhood education at the University of Memphis. Lauren has learned the importance of art in early development. Her teaching approach and methods reflect this as she integrates art into the curriculum whenever possible. Lauren agrees with Rachel Reyner that art and creativity in early childhood foster and build unique brain connections; and can have a long-term impact on inner-resilience that lasts a lifetime. Mary is a native Memphian and graduate of Rhodes College with a double major in Economics and Art History. She is active in the arts community in Memphis whether she is playing her fiddle at a show or helping out with an art installation. She also enjoys wood burning, lettering, and painting. She's excited for the future of art in Memphis and is glad she can be a part of it through places like the Art Project. Charlotte Sechrist will graduate in 2019 from Rhodes College with a BA in Studio Art and Art History. Her primary mediums are painting and sculpture. She is originally from St. Louis, where she lived for her whole life before moving to Memphis. She has experience working as a docent for children at the St. Louis Art Museum. She plans to attend graduate school for integrated design in the future after traveling post graduation. Mattie Boyd grew up in Jackson, TN and graduated from Rhodes College with a BFA in Studio Art. She has a background in painting and sculpture but has recently begun working with digital photography, performance, makeup, and video as a means of making with sculptures as setting or props. She has a extensive experience working with children ages 2-6 teaching after school art programming. Grace is a lifelong Memphian and Midtowner and will graduate from St. Mary’s Episcopal School in May. 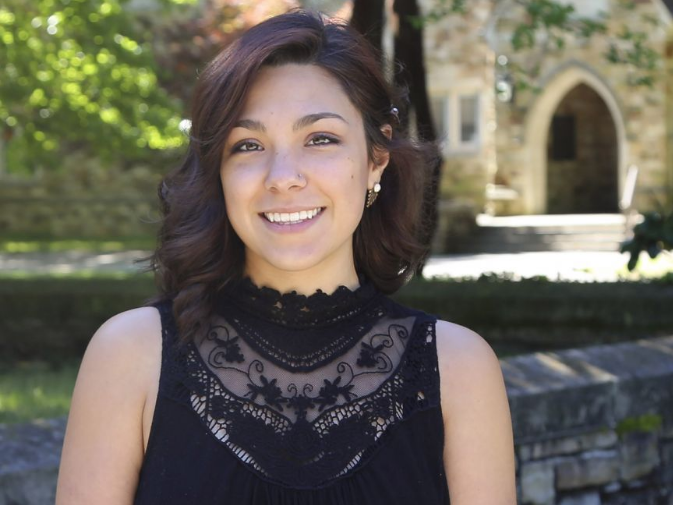 After high school she plans to continue in her love of theatre as a lighting design major in college. In addition to working behind the scenes and onstage for numerous theatrical productions at St. Mary’s, Grace has also assisted at Grace-St. Luke’s camps teaching theatre, dance, sewing, and art with kids aged 4-14. She is also an author at grrlpunch.com! Monica Bushong is a recent graduate from Rhodes College who double majored in Art History and Religious Studies. She has worked in various museums, including the Brooks Museum in Overton Park, and has experience leading arts education programs for all ages. Monica is the current artist-in-residence at Caritas Village, as well as studio assistant to Crosstown Arts artist Eric Clausen. Her art is performance and community based, encouraging creative interaction and collaboration among those experiencing her artwork. Lexi Perkins grew up in Murfreesboro, TN and graduated from Rhodes College with a double major in Art and Urban and Community Health. She specializes in sculpture, painting, and drawing, and has exhibited work in solo and group shows. Her art can be seen on her Instagram.